Insurance industry bosses have been conducting headcounts and safety assessments to ensure their staff members are safe and well following last night’s 7.5 magnitude earthquake near Culverden. While the Wellington CBD was a no-go zone until building checks had been completed, and communications were still down for many, with mobile phone networks congested and messages being delayed, key industry players were reporting that all their colleagues were so far safe and well. 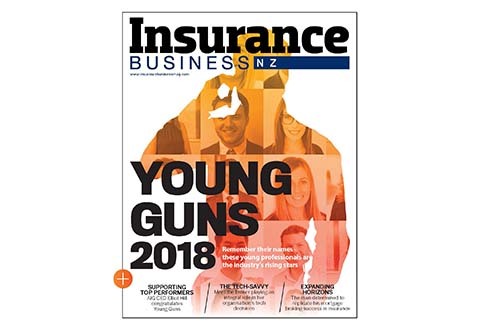 Gary Young, CEO of the Insurance Brokers Association of New Zealand (IBANZ) said all members he had heard from so far were okay and were gearing up for the task in hand, which was advising their clients. “Their task in the immediate future is to advise clients on what they need to do if they have suffered damage. Recording damage that has occurred and minimising further damage must be a priority,” he said. Marsh New Zealand spokesperson Desiree Keown said the company was ‘relieved to report’ that all Marsh staff had been contacted and accounted for in the affected areas. She said the disruption would not prevent staff from assisting any clients impacted by the incident. Willis Towers Watson reported that all staff were safe and well but the Wellington office was awaiting clearance from Civil Defence before it could reopen. Spokesperson Tina Vogdanos said all phones had been diverted and staff would continue to operate by working from home: "Our CEO has encouraged staff to contact our clients and offer them any help that they need during this time." 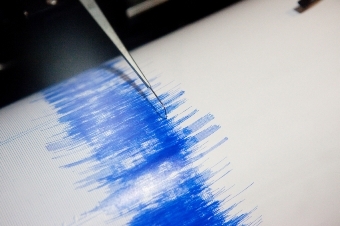 Mark Reid, general manager of Christchurch-based Abbott Insurance, told Insurance Business it had been a ‘horrific night’ with tsunami alarm bells ringing and lots of ‘rocking and rolling’ from numerous quake aftershocks. Reid had a scare earlier this morning when he realised his sister, who lives 100m from the beach, hadn’t received his text message to leave the area due to tsunami warnings. He said the experience had brought back some awful memories for staff. Reid said he had been in the office from before 7am after getting an engineer in to give it the all clear, and had been firing out dozens of emails since, including communications to clients not to worry about getting their claims registered straightaway. He was thankful that Abbott’s new building in Kilmore Street in central Christchurch, next to the Avon River and across from the Town Hall, had withstood the earthquake. Avon Insurance Brokers’ managing director, Allan Daly, told Insurance Business it had been ‘another rude awakening’ for his Christchurch-based team, but he was relieved to report no one had been affected. “At home we never even had a glass tip over and everyone came into the office with the same story, it was just a rough night,” he said. Daly said the message they were giving to clients was, once they had taken steps to safe-keep themselves and their property, to proceed as if they were not insured. “The main thing is to remain positive for clients. We want to assure people they have the right cover in effect, but the safest thing to do is proceed as if they’re not insured. He said while the road was cut off and ferries were cancelled, the airport was open so many would be flying in. Another thing he said clients were finding was that their policy excesses were more than they were after the Canterbury earthquakes. “Previously it was around 2.5% of the cost of the claim, now it’s typically 5% of the value insured or the value of the site, so that’s having an effect on a lot of commercial claims. “We’re seeing a lot of pictures of stock being knocked off shelves but a lot of people might find they probably don’t exceed their excess. SteadfastNZ CEO, Bruce Oughton, told Insurance Business all their brokers were okay but he said management had offered to give them any assistance they might require over the coming days or weeks, ‘whatever shape that is’. It was a similar story for broker network NZbrokers with CEO Jo Mason saying they had contacted all affected partners from Ashburton to Wellington. "While all are shaken, they are safe and well," she said. "All teams were in the office early to commence phoning clients - our main priority. "Whilst it is still early days, it appears that most domestic claims will be sufficiently handled by EQC. Our thoughts are with the people in the affected areas," Lyons added. Other industry players were quick to get information out to customers, clients and the public, including Vero Insurance, IAG, AA Insurance, Tower Insurance, the Insurance Council of New Zealand (ICNZ) and the Insurance & Financial Services Ombudsman. Their tips included documenting damage, making lists of all damaged items, contacting EQC and reading insurance policies carefully. Tim Grafton, CEO of the Insurance Council of New Zealand (ICNZ) said it was ‘far too early’ to give any sense of the scale of damage or number of insurance claims but he said insurers were on hand to give assistance and help. “I’ve been down into the Wellington CBD today and buildings haven’t fallen down but they still need to be inspected and there are also risks around structures above ceilings in offices,” he told Radio New Zealand. He said while the scale of the event didn’t seem to be anything like previous events over the last few years, it was too early to speculate on costs. He was quick to reassure fears that there would be ‘no money left in the kitty’. “People should have no concerns about that at all. “There’s a national disaster fund that has started to build up with a few hundred million dollars in it, but over and above that EQC purchase reinsurance cover to the tune of a few billion dollars just for events arising. He added that while EQC pick up the first residential loss up to $100,000 worth of damage to the house and $20,000 worth of contents before the private insurer steps in, private insurers were the underwriters for all commercial property in New Zealand and it was still ‘too early’ to see what damage had been done there. How has today’s earthquake affected you? Contact Insurance Business at the email address below to let us know.